Both western and eastern nations have called on a smooth and peaceful transition in Sudan, with a proposal by the ruling “military council” promising the country would have a new civilian government one day after the armed forces overthrew President Omar al-Bashir. “We hope that this transition process will be conducted peacefully, with a view to meeting the expectations of the Sudanese people and within the framework of constitutional democracy and national consensus,” the Turkish Foreign Ministry said in a press release late on April 11. 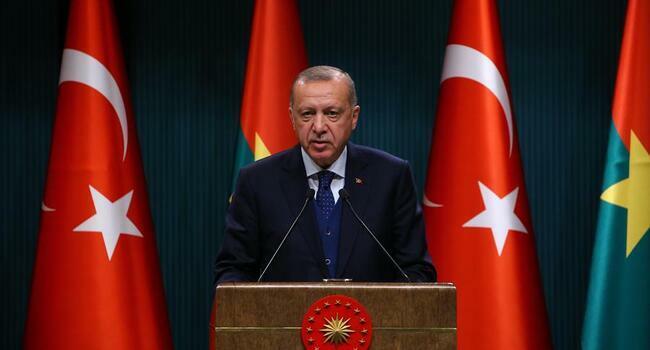 This statement followed remarks by Turkish President Recep Tayyip Erdoğan, who also urged peace, reconciliation in Sudan. National flag carrier Turkish Airlines cancelled its reciprocal flights to the Sudanese capital Khartoum. The United Nations human rights office called on Sudan to cooperate with the International Criminal Court (ICC), which issued an arrest warrant for deposed Bashir for alleged war crimes nearly 15 years ago. The military rulers vowed to open a dialogue with all political groups on forming a civilian government as protesters railed against their seizure of power after ousting president Omar al-Bashir. But coup group warned it would tolerate “no breaches of security” after protesters defied a night-time curfew to keep up a sit-in demanding immediate civilian rule. But he said the council would never extradite him, or any other Sudanese, despite the ICC warrant. The EU called for Sudan on April 11 to have a “swift handover” to a civilian transitional government. “Only a credible and inclusive political process can meet the aspirations of the Sudanese people and lead to the political and economic reforms the country needs,” said EU foreign policy chief Federica Mogherini in a written statement. The State Department o fthe U.S. ordered the departure of non-emergency U.S. government employees in Sudan following Bashir’s ouster. In an updated travel advisory, the department said “violent crime such as kidnapping, armed robbery, home invasion and carjacking is common” and warned citizens not to travel to Sudan. Terrorist groups in Sudan may harm Westerners and Western interests through suicide operations, bombings, shootings and kidnappings,” said the department. “The United State continues to call on transitional authorities to exercise restraint, and to allow space for civilian participation within the government,” State Department spokesman Robert Palladino told reporters. “We are calling on all sides to exercise restraint, as we need a peaceful solution to the crisis, which fulfils the expectation of the Sudanese people for a political change,” Christofer Burger, deputy spokesman for the German Foreign Ministry, said. Egypt responded to the coup by urging the international community to support the Sudanese people’s desire for a peaceful transition of power. Tunisia’s Foreign Ministry also voiced hope for a peaceful transition of power “that meets the legitimate aspirations of the Sudanese people for freedom, democracy and development”. Jordan’s Foreign Ministry, meanwhile, likewise affirmed the importance of maintaining security and stability.